International students are coming! In fact, as you may know, they’re already here…and more are on the way. While U.S. colleges and universities have long been the destination of choice for undergraduate and graduate students around the world, increasing numbers of students are now making the journey to the land of the free and home of the brave at a younger age to attend and graduate from a four-year American high school (even middle schools in many cases). A periodic glance at education headlines confirms this trend, with reports noting the rapid increase and effects of international students entering the U.S. for education over the past decade. While the traditional one year “exchange student” programs still exist primarily within public schools (an additional 24,000 students in this category), the majority (67%) of international students in the U.S. are here to obtain a four-year high school degree from private institutions. American schools welcome students from South Korea, Germany, Vietnam, Mexico, Brazil and many other countries, but the overwhelming majority of F-1 students continue to come from China. In the face of China’s stagnant educational system, and in conjunction with a surge in disposable income for many middle to upper class Chinese families, the demand for top tier western education has grown and been keenly felt by private high schools approved to issue I-20’s to international students. Attending high school in America is an international student’s ticket to improved English, cultural acclimation, and most importantly, a competitive advantage for being accepted by a top American university. Perhaps your own admissions staff has found themselves fielding unfamiliar phone calls or emails from international students or agents. The growing number of younger international students beginning their quest for admission into a top American university by enrolling in a U.S. high school is becoming a more and more prevalent reality. This presents exciting opportunities for Christian schools. Whether your school has already welcomed a few international students in the past, has an established and growing international homestay program in the present, or is interested in exploring the first steps to begin an international student homestay program in the future, there are tremendous benefits available to your Christian school community. Spiritual – Interacting with students from different cultures causes us (staff and students alike) to grow and mature as Christians. It causes us to sift through cultural preferences closely intertwined with our American Christian walk and pinpoint how the universal truths of the gospel apply to all people from all locations at all times. We think more deeply about whether our words and actions accurately reflect our transformed lives in the presence of an observant Chinese student. We’re given unique and unprecedented opportunities to share the gospel with someone with no native cultural framework for sin, Jesus, forgiveness, and grace. While we certainly pray it changes the lives of the students, the inevitable reverse affect is that it changes us—and for the better. Global Mindedness – A World History class becomes more engaging when a genuinely-held alternate viewpoint of world relations or past wars is passionately expressed in a classroom discussion. As American teenagers are forced to come into contact with students from the other side of the world, they are forced to consider the beliefs, governmental structures, cultural realities, and lifestyles of people on the other side of the world. As technology and ease of transportation creates an ever-increasing interconnected and intersecting world, hosting international students opens new lenses from which we can know and examine the world. Financial – Not all international students have deep-pocketed parents, but chances are if high school in America is an option, they are full paying customers for tuition & fees, support services, and homestay costs. The addition of a healthy percentage of international students to your student body can provide new income streams for your school’s core ministry function—increasing financial aid and providing supplemental income to school staff (the ability to pay teachers more fairly) as well as to school families who serve as host families. Diversity in School Culture – While we don’t pursue diversity for diversity’s sake, we do pursue diversity because we want our Christian schools to more accurately reflect the kingdom of God. We also welcome diversity in order to more appropriately train and nurture our students for their future vocations in a global society. The old adage that anything worth doing is worth doing well is as true of international student programs in our schools as anything else. Here are several common “keys for success” we’ve observed in Christian high schools throughout the country with successful and innovative international student programs. Heaven-Minded Motivation: The primary motivation cannot be financial gain, increased enrollment, or prestige—the primary motivation is ultimately to introduce Jesus to international students and strengthen the faith of current believers. Good Students (Quality Control): While Asian students in particular are known for rigorous study habits, there are many students who apply to come to America as part-time students and full-time partiers. Schools need a system to properly vet incoming students to ensure they are hard-working, respectful, able to positively function in a host family, and serious about academics and school activities. Student Preparation: A mandatory preparation program (such as WAnet’s Summer English Institute) to acclimate and orient students to their new surroundings, culture, and expectations is critical. A student who arrives on the plane on Friday and starts classes on Monday is not set up for success. Strong Program Leadership (Key Personnel): Schools need people who really invest in the program and in the lives of the students. School may run from 8-3, but ongoing social activities, host home shuffling, intervention for urgent student issues, etc. occur at all hours of the day and are critical to the growth and success of international students. Good Match: Matching the quantity and type of students with your school culture is critical. An international population of 5-10% of the entire student body tends to be a healthy percentage. The ratio of Christian to Non-Christian international students is important in determining the spiritual culture within the international group of students. Student expectations need to be in line with the nature of your school. A student looking to bask in the big city lights of Los Angeles or New York on the weekends when your school is located in a rural community would not be a good match. Quality Host Parents: Host parents are huge! This is where students will spend the majority of their non-classroom time and this is where life change often occurs. Successful international programs recruit, train, and support their host parents well. They are given a system of support and forced to take the responsibilities of hosting seriously. Support from the Top: Heads of schools, principals, key administrators, money managers—the key “decision makers” of the school need to understand the vision of the international program and be willing to support it when it needs support and make tough decisions when necessary. Many programs never get off the ground, run into serious problems, or are run poorly due to lack of support from the top. Communication with Home Parents: Schools view the education of international students as a partnership with their biological parents back home. They don’t keep them out of the loop. For many parents, there is no greater joy to know their son or daughter is not only being given a great education, but is being cared for individually by teachers, staff, and host parents. To be clear, having international students in your school is not always a Sunday afternoon stroll in the park. It’s not an easy, clean-cut undertaking, or one to chase on a whim. Assuming responsibility for a student from a completely different culture can invite challenges and complexities unforeseen on a school’s radar until…they happen. There are cultural fuax pas, misunderstandings, and challenges—often humorous—that are simply unpredictable. While we may not always see these cultural miscues coming or even fully understand them, we never would have even approached a level of understanding a different viewpoint had our schools not embraced international students into our communities. The unique product we have (an academically-rigorous American high school education) and the accompanying high demand for it gives us a unique and powerful platform to influence young lives. In Matthew 28, Jesus commands us to “go” and make disciples of all nations. While some of us may be called to overseas missions work someday, in the meantime perhaps the most effective way we can personally make disciples of all nations is to “go” to our own schools each and every day and consistently pour into the lives of international students. Students don’t quickly forget the powerful influence of a teacher or host parent who talks the talk, walks the walk, and genuinely cares for them. You would be surprised at how many Asian students have never experienced such a thing! Over the past several years at Wheaton Academy and throughout schools in WAnet, we’ve seen the hearts of students melt and surrender to Jesus as a result of a one, two, three, or four-year immersion in the Christian school, church, and home. We’ve seen students joyfully accept Christ then go back to their home country and tell their parents about their new found faith. And guess what—when parents observe the new life exuded by their son or daughter—they listen! Our commitment to share Christian education to international students is used by God to produce ripple effects beyond what we are able to know. Simply put, at the end of the day—it’s worth it! We’ve read it a thousand times: Heaven will be full of people from every tribe, language, people, and nation. Have you ever stopped to ask what role American Christian schools have in helping usher in students from every tribe, language, people, and nation? Perhaps a larger role than we think. Is your school called to educate and minister to international students? 1 “Charting New Pathways to Higher Education: International Secondary Students in the United States.” Institute of International Education, July 2014. Students from WAnet’s Summer English Institute 2014 visiting Princeton University. 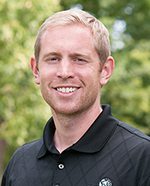 Benjamin Euler serves as Director of WAnet, a network of 20 Christian high schools throughout the U.S. for the purposes of international student recruitment and placement, school staff training, and international student preparation. WAnet is a function of Wheaton Academy, one of America’s oldest and most respected private Christian high schools located in West Chicago, Illinois. More information about the annual HomeStay Boarding Symposium, Summer English Institute, HomeStay Quarterly newsletter, and services offered to Christian schools, please visit www.WAnetUSA.org.